Singapore – 8/3/2014 - Planet Arkadia, a virtual treasure hunting themed planet in the Entropia Universe, announced today several players were rewarded with the second largest hunting loot in Entropian history while defending the new Underground region against the threat of the Smuggler movement. 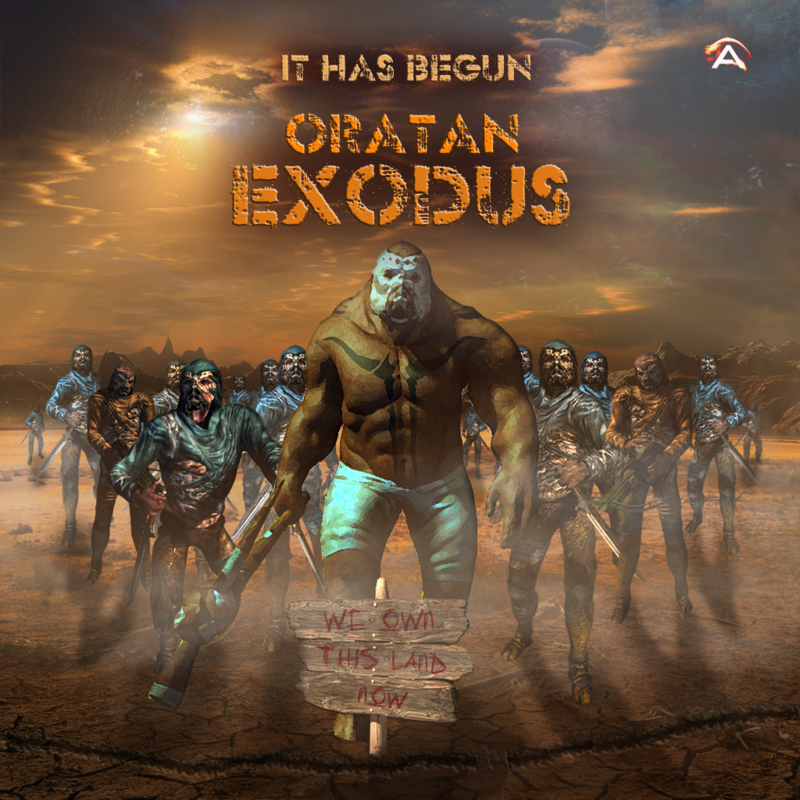 In the game players were introduced to the illegal movement dubbed “The Smugglers” and were requested by the Arkadian Colonial Administration (ACA) to protect the Arkadian Underground from being plundered and pillaged. Colonists from across the Entropia Universe came together as one to stand and fight. They were greeted with an outstanding loot of $19,473 that will be part of an All Time High (ATH) that is recorded in a database and will be highly visible for all players. The winner’s names will go down in history as the defenders of Planet Arkadia and as pioneers of Entropia Universe. Each player walked away with nothing less than $500 of value in loot after they destroyed a “Smuggler Droid MK2″, a nasty form of technology constructed by the Smugglers to gather information and destroy anything with which it comes into contact. “Planet Arkadia is a vibrant and growing economy within the Entropia Universe and we are pleased to see the rewards earned for players who were having loads of fun as usual in this event” said David Dobson Managing Director of Planet Arkadia Pte Ltd.
On March 26, 2014 Planet Arkadia announced the offering of Arkadia Underground Deeds, which will make up the world’s first $1,000,000 virtual property. Arkadia Underground gives all players a unique opportunity to participate in virtual land investment within Entropia Universe allowing players to share in the revenues of Arkadia Underground and receive dividends on a daily basis. This innovative offering by Planet Arkadia enables players to participate in up to 200,000 deeds that have been priced at only 50 PED (or $5.00) per deed in direct response to player demand for more opportunities to invest at a lower entry price. The Real Cash Economy has been developed over a 10 year period providing a solid foundation for the virtual economy as all in-game currency ‘PEDs’ are transferable to US$ at a fixed rate of 10 PED for each dollar, unchanged for over 10 years. Importantly, participants are able to withdraw their earnings back to their real life bank accounts at any time. The following are changes that come with Planet Arkadia Update 2014.1.1. This information is provided to the extent that the IFN and ACA are at liberty to discuss at this time. Log in today and check things out for yourself, to discover how the changes affect you! Arkadia Underground Deeds now available for sale. The Deeds will no longer be listed in the auction and will only be on sale from the broker (Arkadia Underground Deed Broker) located close to the Underground teleporter (13479 21770). Deeds will be added into the broker over time. Treasure Map missions will become active soon, Please note that new missions are disabled by default and needs to be turned on manually. You can talk to Tom Tennant at the Moonshine Bar (Celeste Harbour TP) when activated for assistance. The IFN has concluded their investigation into the anomaly of the smuggler IFN Defence bots and eradicated the threat. Fixed proxy issue with some of the pillars. Various other small fixes and adjustments to the underground terrain. Teleporation chips do not function correctly in the underground. Ever wanted to share in the growth of Arkadia? 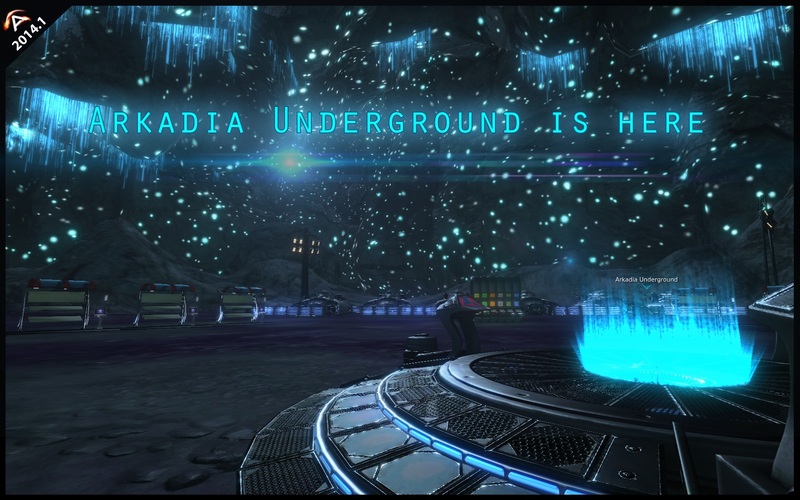 Participants of Entropia Universe are being given an opportunity to acquire Arkadia Underground Deeds at a fixed listing value of 50 PED per deed. A total of 200,000 deeds are being made available which equals 100% of the Land Area. The area will be managed by Arkadia Studios and a new subforum for Arkadia Underground discussions will be created at Planet Arkadia Forum. Starting today, batches of deeds will be released via the Arkadian Auction. Included with the patch due next week, a broker will be located at the Arkadian Underground teleporter that will sell individual deeds allowing participants to purchase the exact number they want. Tax revenue from the Land Area ‘Arkadia Underground’ will be distributed automatically to deed holders on a weekly basis via the PED flow centre. The Arkadia Underground will have a fixed tax percentage of 5%. Arkadia Underground offers something for everyone, new unique mobs (Navi, Wombana and Togolossi), 64 sq km’s of caverns to explore, hunt and mine. 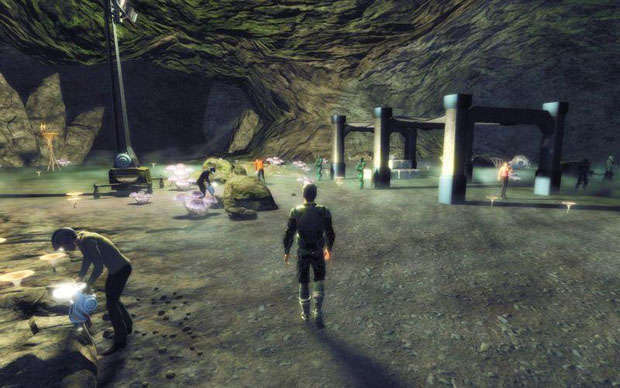 Mining in Arkadia Underground utilizes the Indoor mining logic as previously experienced by participants on Calypso’s FOMA and Rocktropia’s HELL areas. Vehicles are also usable throughout the Underground area. Entrances to mysterious Ancient Arkadian Vaults are also located throughout this new area. 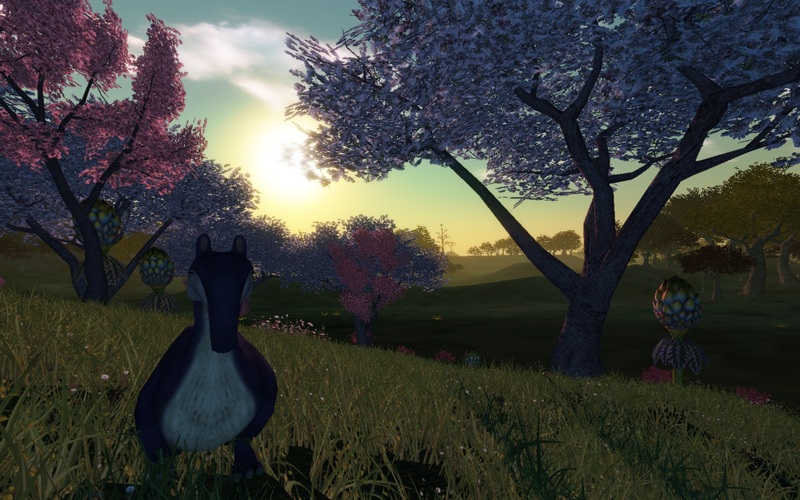 The following are changes that come with Planet Arkadia Update 2014.1. This information is provided to the extent that the IFN and ACA are at liberty to discuss at this time. Log in today and check things out for yourself, to discover how the changes affect you! Arkadia Underground is here! Access is via the TP network on Arkadia, select “Arkadia Underground” from the drop down list at any Arkadia surface teleporter. Arkadia Underground Deeds will be available from the Arkadian auction and from a broker next to the main Arkadia Underground teleporter (after the patch next week). A rare issue that can cause a player to get stuck in the Aakas instances have been fixed. The droopy eye issue on Arkadia armours has been fixed. Missions for the creatures found within Arkadia underground will be available following the patch next week. Liakon Koroma female currently has a small gap on the neck from fixing the eye issue.